Can the believer break the given promise? SHAFAQNA – It is narrated from the Prophet of Islam (PBUH) who said: Whoever believes in Allah (SWT) and the Day of Judgment must fulfill his/her given promise . 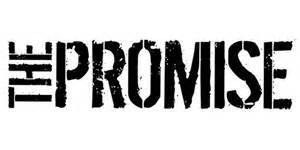 It is also narrated from Imam Sadeq (AS) who said: Do not promise your brother when you are not able to fulfill it . It is clear that a believer does not give a promise without being able to fulfill it and if a promise is given by a believer, according to Islamic teaching, that promise must be fulfilled. Osul Kafi, Al-Islamiyah, Vol. 2, page 364, Hadith 2. Beharul Anwaar, Beirut, Vo. 75, Page 250 and Tohaful Oqool, Page 367.
https://en.shafaqna.com/wp-content/uploads/2016/05/promise.jpg 150 300 hamrang https://en.shafaqna.com/wp-content/uploads/2018/10/new-logo-s-en-fine.png hamrang2016-05-31 11:25:552016-05-31 11:25:55Can the believer break the given promise?